Ant-Man and the Wasp is the sequel to hit 2015 superhero comedy and the 19th instalment in the Marvel Cinematic Universe. Paul Rudd, Evangeline Lilly, Michael Douglas and Michael Pena all return and joining them is Michelle Pfeiffer (Batman Returns), Laurence Fishburne (Batman vs Superman: Dawn of Justice) and Hannah John-Kamen (Ready Player One) as we re-visit Scott Lang (Rudd) two-years after the events of Captain America: Civil War, where Scott was arrested for breaching the Sokovia Accords with his fellow Avengers and being placed on house arrest. 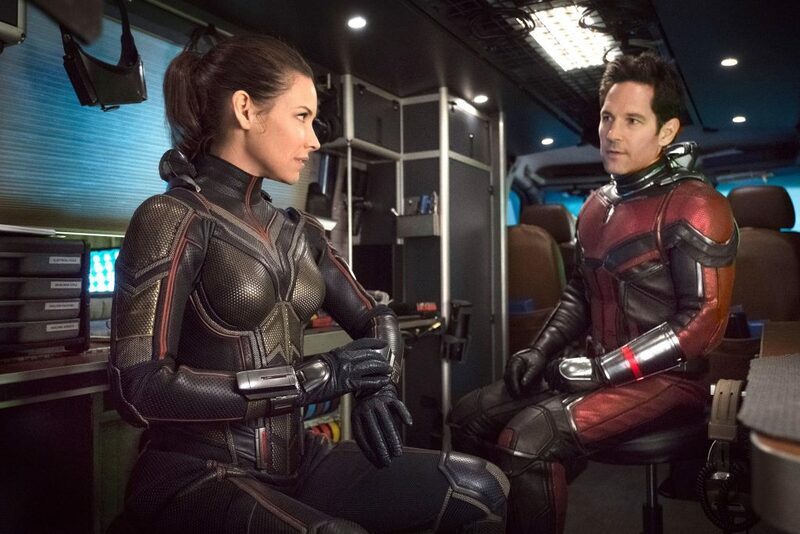 However, Scott soon finds himself reunited with Hank Pym (Douglas) and Hope Van Dyne (Lilly) who are on a mission to bring back Hope’s mother, Janet (Pfeiffer) from the mysterious Quantum Realm. 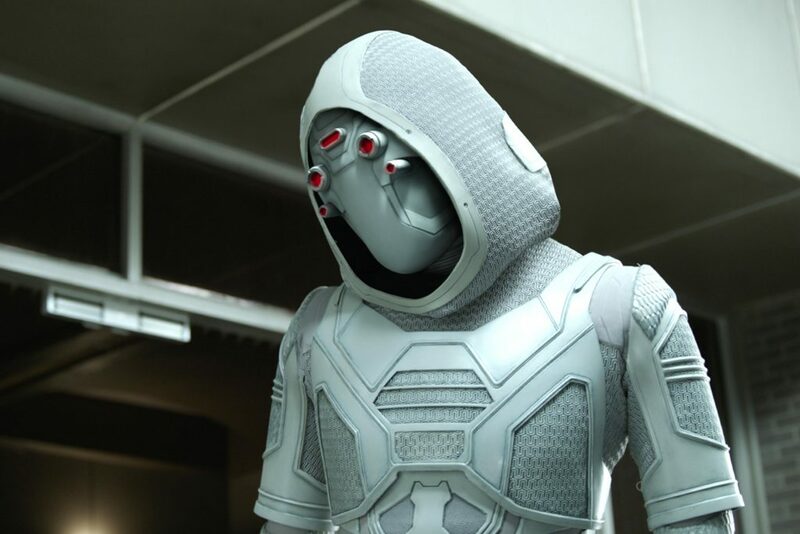 It’s up to Ant-Man and the Wasp to help bring Janet home all while trying to defeat new villain, The Ghost (John-Kamen). After the rather heavy hitting, Avengers: Infinity War, Ant-Man and the Wasp is a very welcome breath of fresh air with a more humorous and simple story. 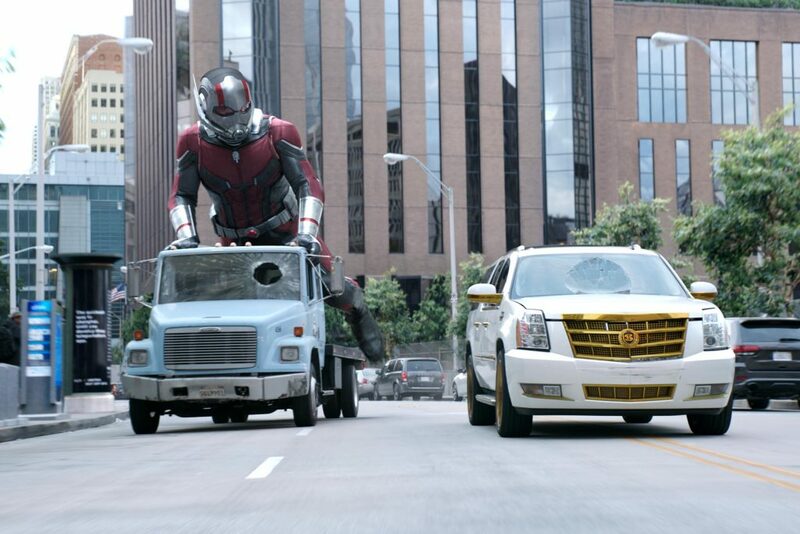 Paul Rudd excels as Scott Lang/Ant-Man and delivers a hilarious performance as the MCU’s funniest Avenger. However, the most notable performance in this is Evangeline Lilly as Hope Van Dyne/The Wasp. It’s hard to believe that in Marvel Studio’s 10 year history and 19 movies; movies responsible for bringing us some of the best and fully realised female characters in cinematic history such as Black Widow, Scarlet Witch and Okoye, that Ant-Man and the Wasp is the first movie to feature a female character in the title. Wasp is one of the founding Avengers in the comic books and it’s great that she gets to take centre stage in this movie and do the rescuing for a change. Hopefully this is a sign of things to come as Marvel Studio’s is about the release it’s first female solo-lead film in 2019’s Captain Marvel starring Brie Larson. It is hard not to enter spoiler territory when referring to the film’s antagonist, The Ghost, however what can be said is how complex the character is and although the Ghost doesn’t pose the same threat as Thanos or Loki, it is clear a lot of thought has been put in to telling her story. Michelle Pfeiffer; who is no stranger to playing superheroes after appearing as possibly the most iconic version of Catwoman in Tim Burton’s Batman Returns in 1992, joins the cast as Janet Van Dyne (the original Wasp) who we witnessed being absorbed into the Quantum Realm in the first movie. Janet posses some unique abilities which could possibly hint at something we might see in Avengers 4. Pfeiffer does well slotting into this cast and her chemistry with Michael Douglas and Evangeline Lilly is almost instantaneous so it is very easy to buy into them as the family unit. Not being one of Marvel’s world changing movies, the plot can seem a bit simplistic compared to recent Marvel films, however with the audience now post-Infinity War and the dramatic conclusion not due until next year, Ant-Man and the Wasp does the job it was intended to do which was to cleanse the pallet after Infinity War while also providing slight easter eggs for how the remaining Avengers could defeat Thanos and bring back their fallen comrades. So You Think You Know… Tim Burton? 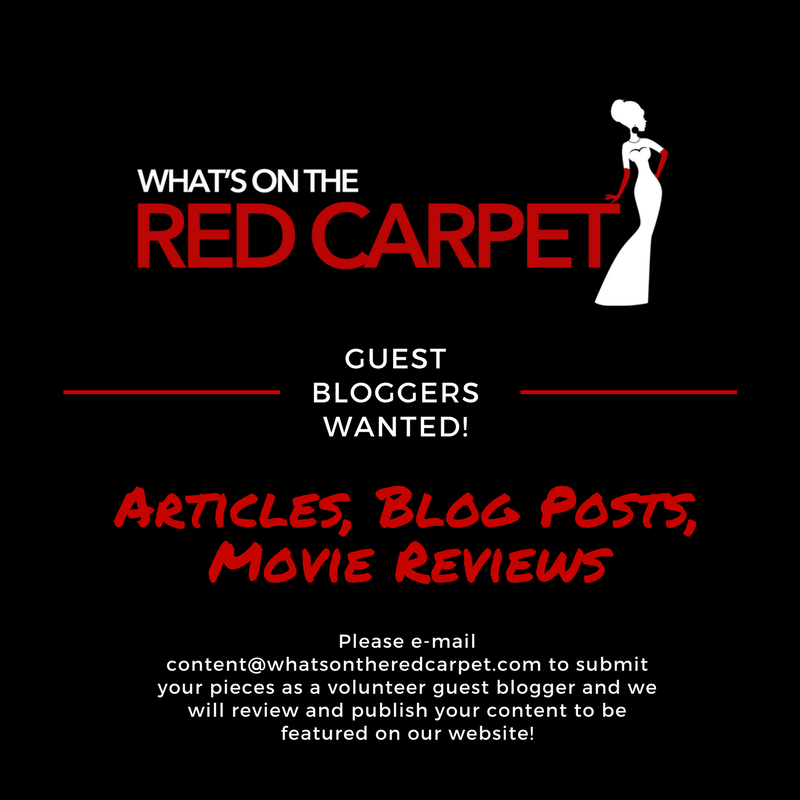 Magical Words becomes Movie Magic! So You Think You Know… Martin Scorsese?